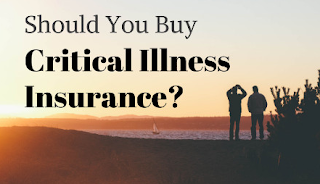 Should I buy critical illness insurance? There are no easy answers. Many agents may try to use scare tactics (which make logical sense) to get you to purchase critical illness plans, but are they really worth it? Many agents will tell you that if you do not buy CI cover, you will not get insured against cancer, which is steadily on the rise. However, that is not the full story. How does a critical illness plan work? 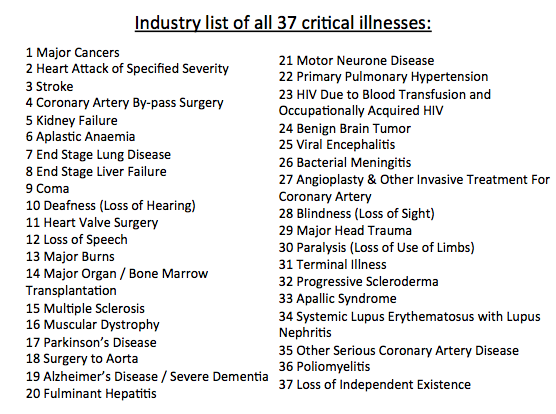 A CI plan pays you a lump sum of money if you are diagnosed with one of the 37 pre-determined major illnesses. 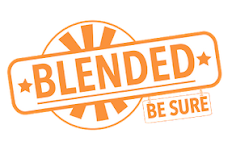 This money can help pay for your living expenses or loss of income while you recuperate, or other ancillary medical expenses that may not be covered under your traditional health shield plans, including reconstructive surgeries. The catch is - once you are awarded with a payout, your policy will usually be terminated and you will no longer have any critical illness cover. When you're diagnosed with a critical illness, the hospital bills can chalk up to quite a large amount. I recommended buying your own private H&S plan on top of your MediShield Life and employer health insurance, so if you heeded my advice, you should be paying close to zero for your hospitalization fees. Why would you still need a sum of money from your CI plan then? Of course, if you want to seek treatment in a more "atas" hospital, then even MediShield Life cannot help you. 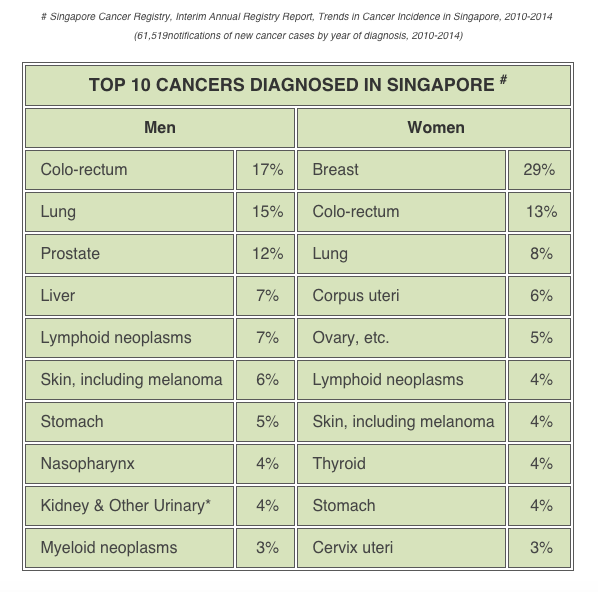 Contrary to what most Singaporeans think, you are not automatically covered for all types of cancer even if you own multiple CI plans. A few years ago, breast cancer patient Ms. Theresa Tan received a rude shock when her claims were rejected by her insurer...after paying all that money for 3 CI policies. In fact, did you even know that a number of common cancer conditions - including breast cancer, prostrate and cervical cancer - are not covered by CI policies at all? You would need either early CI or a gender-specific insurance plan to get this level of protection. Moreover, even if you get diagnosed with any one of the covered illnesses, your CI payout is not guaranteed or confirmed. For instance, some illnesses require you to be at the final stage before you are eligible to make a claim. 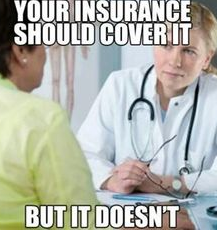 This means that even if you get diagnosed with a Stage 1 or 2 cancer, you may still not get a single cent from your insurer (even if you're bedridden at home)! Due to the above scenarios, insurance companies are now also offering the option for early CI plans, which allows you to claim your money sooner rather than wait until the final stages of your illness. Given that more people are going for regular health screenings these days, it is more likely that one might be able to detect critical illnesses at an earlier stage where the likelihood of full recovery is still high. Thus, early CI plans would come in useful here. However, do note that each payout is usually just a fraction of the insured sum, and may therefore be insufficient or lesser than what you expected. Even if you bought an early CI cover of $100,000, there's no guarantee that you will get the full sum upon diagnosis. Even the ex-CEO of NTUC Income states that "the cost of critical illness cover is high. You should not spend too much premium on this risk, as the return is poor." Don't get me wrong - I'm not against insurance. 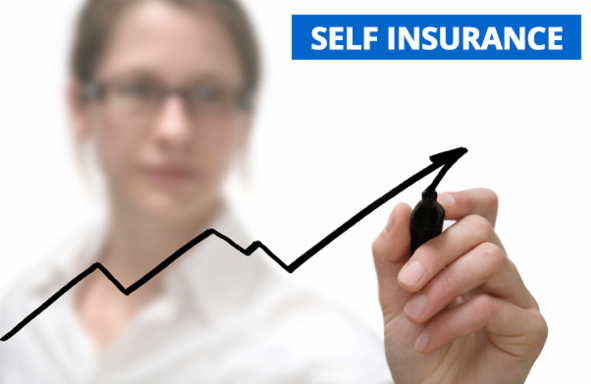 In fact, I think insurance is absolutely essential before we can even start thinking about building our wealth. But I do not believe in every single type of plan out there. 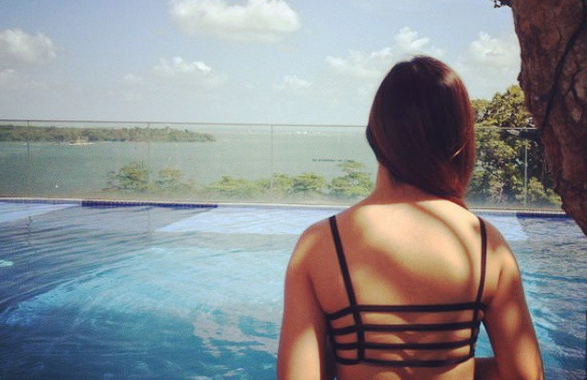 In my first job, I was only getting $30,000 of annual wages. After working hard and getting promoted, my job still only gives me slightly over $40,000 each year. Which is why whenever any agent quotes me plans where premiums are in the 4-digits range, I baulk. If you're a fresh graduate with a $26,000 tuition fee loan to repay, the financial burden gets even heavier. (For a start, you can check out my guide to paying off your TFL here). 5. Spending 12% to 15% of my annual income on insurance is far too expensive! The premiums for early CI plans are extremely expensive, even more so than traditional CI plans. While the plans may offer great protection, paying for such premiums would be a huge drain on my financial resources. 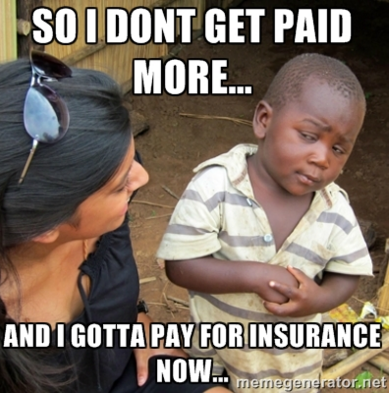 Let me set the record straight - no matter how good your insurance agent's intentions are for you (ha ha ha), there comes a point when we are paying too much for our insurance. Insurance is essentially protection. There are a wide range of plans that most agents will recommend us to get, including private health shield plans, whole life plans, critical illness cover, early critical illness cover, accident plans, disability income insurance, etc. Each plan has its own merits...and cost. When I calculated my quoted premiums for H&S, term, CI and early CI, the total cost came up to a hefty 12% - 15% of my annual income! Does that make any sense to you? I can relate to why CI coverage might be important...but not at this point in time, when I'm earning so little to begin with! 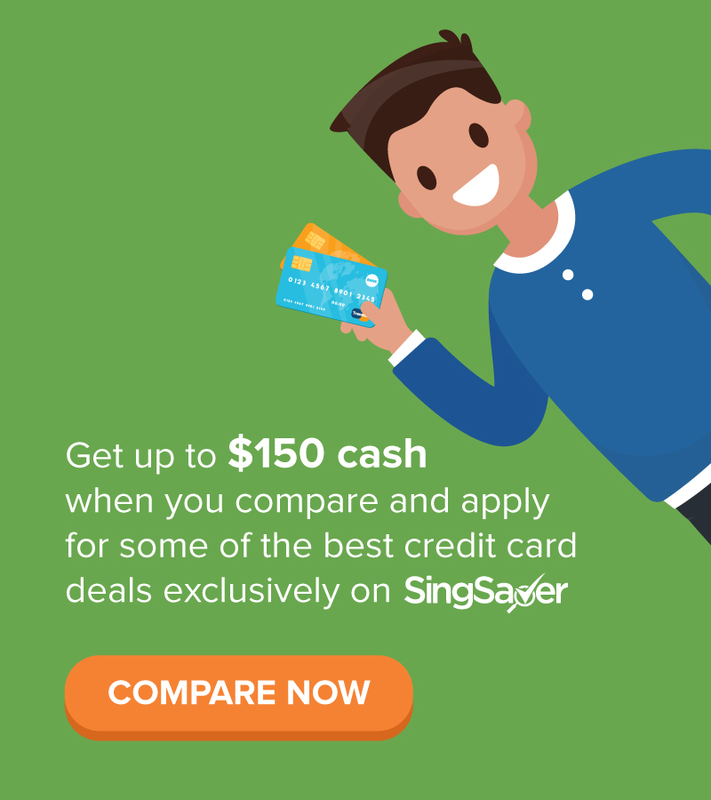 Paying a few thousand dollars to my insurer each year may not sound like a lot, but over the long run, it definitely adds up. When you consider the gloomy economic conditions right now, I would frankly rather keep my cash on hand to take advantage of upcoming market opportunities and invest. That way, when my returns compound, I have more money. If I were to take the money spent on insurance premiums to invest in a good value stock that gives me 6% returns, by religiously adding in my "insurance premiums" into this "fund", I could grow my money to $211,000* in 20 years. *Presuming insurance costs of $5,000 annually, with regular injections of the same amount each year and compounded over a 20-year duration. In that way, I could build up my own CI "payout" which would be "guaranteed claimable" should anything happen to me in the future. 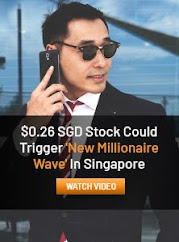 At the same time, I'll also be able to have this cash on hand to invest in other opportunities should they come along. 8. The chance of making a critical illness claim is extremely small. I quote Mr. Tan Kin Lian, the ex-CEO of NTUC Income, who said: "There is no need to buy insurance to cover critical illness. The chance of making a critical illness claim is small. Less than 5% of people make this claim during their working life." If so few people exercise their claims, then why should I be among the majority feeding the insurer's pockets?! So there you have it - my list of reasons as to why I told my insurance agent I was not interested in buying any CI plans at the moment. While we should definitely take precautions to protect ourselves, there is also a limit as to how much insurance we can afford to pay for. Don't let yourself become like this executive who was stuck with paying yearly insurance premiums higher than her annual pay. While you could argue that CI plans are important / useful, these plans do not come cheap. If you asked me, it doesn't make sense that I should be paying a few thousand every year for something I may never ever get to claim. 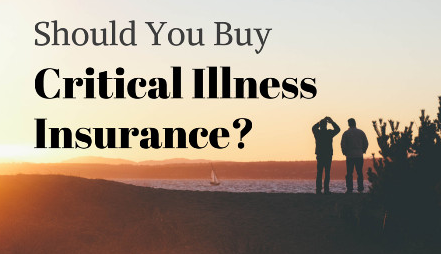 What are your thoughts on critical illness insurance? There's always an argument that h&s covers hospitalization only. Once you're out of hospitals, the subsequent checkups are not covered under h&S. That's where the critical illness plan might come in handy. But I agree that these days, if you buy a plan, you might not be able to claim it. I also agree that self insurance, esp in the later years, might be a better option. Usually your own assets are way higher than the policy value, so it will serve a smaller and negligible purpose. Hi LP, haha of course, but again it boils down to affordability. Buy term insurance for cover. Currently I am insurance for $100k tpd and $100k ci for only $40 per mth. Age: late 30s. Hi! Could you share about your plan name and details? $40 is cheaper than the quotes I got! It's called safra essential term and safra living care. Premium will almost double when I reach 45. By then, either find cheaper ones or reduce coverage. Ah, we females don't have the privilege of buying into that plan! Was just deciding whether to add a CI rider to my DPI term plan. The premiums do increase alot with CI rider. For DPI there are certain limitations right now. I can't vary that with my current DPI plan too. Perhaps you might want to try buying direct where you can have more control? Try DIYinsurance and see if they can help you, I believe they run a system where they rebate you 30% of the commission. I'm guessing you got a 400k term DPI from AXA? Correct me if I'm wrong. I can see why you would think that CI plans are out of the budget of a young working adult, but I think it is a sweeping statement to say that they are a waste of money. 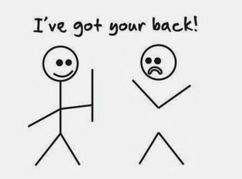 (with regard to the title of your post) The thing about critical illnesses is that they often strike without any warning, which is precisely why an individual would need insurance coverage - not everybody would have that much, be it in savings or assets, to cover the bills associated with these illnesses in the first place! And of course not everyone is that financial savvy to be able to build up a stable and sufficient "CI fund" with other ongoing liabilities such as kids etc. Just to clarify - I am not an insurance agent but it just so happens that I know of a few people who did not believe in purchasing CI policies but ended up diagnosed with one of the critical illnesses. Because of this, I do see the value in CI plans though I completely agree with all of your reasons stated above to not purchase them. I guess I take a more pessimistic outlook in the sense that I feel that all the statistics in the world don't really matter when it comes to health - it can be a 50-50 thing when it comes to an individual's chances of contracting something especially something like cancer where the causes are still largely unknown. 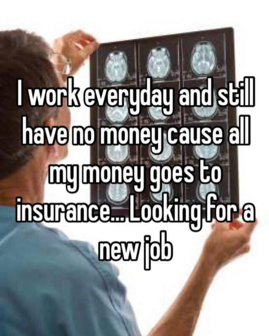 Therefore, I feel you can't really say that insurance is a waste of money, because it is only a waste of money IF you do not ever get to claim / benefit from it at an appropriate time and whether or not that is going to happen is unknown to everyone. Does it exceed the budget of a young working adult / low-income workers? Yes. Is it a gamble? Definitely. But I wouldn't say it is an outright waste of money simply because you cannot predict the future. Sorry for this incoherent rant haha - just that I saw the title and thought it was quite misleading haha. Maybe the title should change to buy term and invest the rest. This website talk abt it. Previous Ntuc income CEO talk abt buying term and invest the rest in sti etf. But frankly speaking, but term invest the rest is not a good recommendation for some people as well. 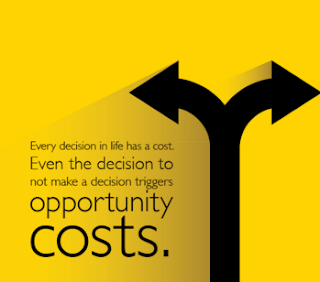 It is only good for those who know how to manage their risks and finances. Hi A, thanks for sharing your opinion! I agree with you, but I maintain my personal stand that CI premiums are way out of budget for people like me. 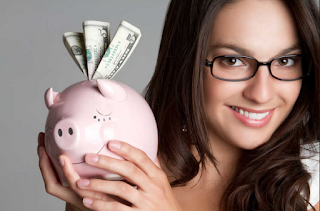 For any young adult taking home less than 3k monthly, CI premiums are extremely expensive. If such a person spends so much on insurance, what little is there left to get married, buy a house, and all other financial responsibilities that we have to juggle? Hardly anything, hence my stand. Of course, like I wrote, it is also a risk in forgoing CI now while one is healthy, but given the statistical odds, I'll take my chances. I'm not against CI- another post on this soon, would love to hear your comments when that is out- but it is not something I'll buy at the moment. If I had 5k income then yes, but sadly that's not my reality right now.